"Good experience with many different built-in features to maximize Efficiency "
The Interface. To be honest, the interface is the best i've seen in a loooong time. Every other Business-Software is designed so you NEED help. Unlike on this maintenance software. Of course it does it's thing. And it does the management really good! No Breaches that i could've noticed and overall a software i could give my child, and he would understand! I needed a card so you can access full access, but it's nothing to me now, so you can have the most out of your security without giving Passwords away. Overall a really really good management software, and i couldn't think of any other comparable items. Switching to another workplace kinda made me miss the "easyness" of some work. It's pretty hard now for me, although im not in the same branch of engineering as before. Almost nothing. The Planning is efficient and the price is suited for every kind of airline. So i wouldn't switch to anything else in the nearest future. Try it! The Product is great and can be handled fairly easily! So don't be afraid. Managing documents was a pain, but now it's much easier and you can have a good overview over aircrafts etc. You can't really exchange this software, because it has many different !unique! technologies, which are cost-effective and flexible! Im kind of sad because i can't use this software anymore, because of switching my job to another company. (To live near my family) Thanks! 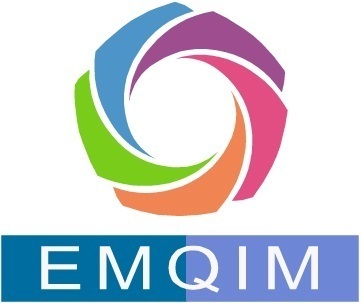 * We monitor all EMQIM reviews to prevent fraudulent reviews and keep review quality high. We do not post reviews by company employees or direct competitors. Validated reviews require the user to submit a screenshot of the product containing their user ID, in order to verify a user is an actual user of the product. Hi there! Are you looking to implement a solution like EMQIM?